There was a meal plan this week AND a trip to the grocery store - hooray!! Monday was Victoria Day in Toronto, so I had some time to take an amazing walk with Lori. Our intention was to find brunch, but we ended up walking 7.1 km to do that and come home!! 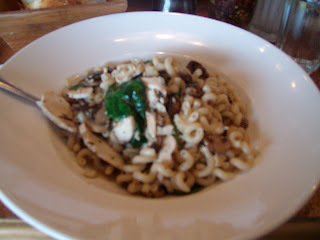 We ended up eating at Joy Bistro on Queen Street East and it was really good! I thought I might have to pull some sides together like I did at Barrio, but they were able to make an omelet using only egg whites which was fabulous! When I said I didn't want toast, they offered mixed greens. Seriously, why can't I get customer service like this everywhere?? Check out Lori's giant pancake in the background! 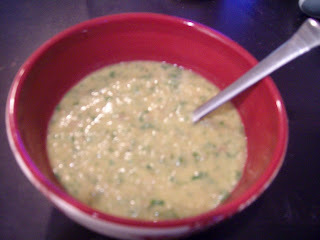 I decided to make the lemon lentil veggie soup from last week's cooking class because I knew that Joey would love it. He was a little skeptical ("honey, am I going to taste all that kale?") but couldn't get over the amazing flavor and even went back for a second bowl. So did I! It's such an amazing recipe and I look forward to making it again. Kale seemed to be a common theme in my meals this week. On Tuesday I made tortilla pizzas. 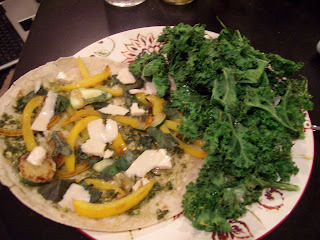 I spread some kale & arugula pesto on brown rice wraps with some sauteed zucchini and yellow pepper. I bought some vegan mozzarella cheez and added a few chunks. 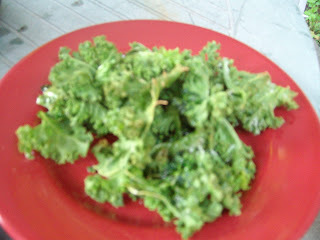 (I grated some very appetizing looking old cheddar on Joey's) I also made some yummy kale chips on the side. I gotta say - vegan cheese just doesn't do it for me. Hence why they made another appearance the next day as we bbq-d! 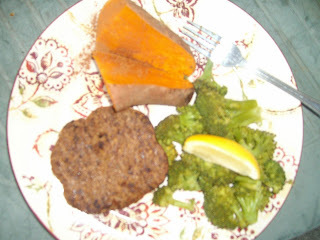 My last Sol burger, with steamed broccoli & lemon, 1/2 a sweet potato and the kale chips - yum! For dessert we enjoyed vegan raw sugar free truffles! I decided to get off the streetcar a little bit early on my way home because it was such a beautiful day on Wednesday. I had stopped in at LPK's Culinary Groove once or twice before, but their sandwich board caught my eye - that sounds like something I can eat!! I ended up chatting with the woman who makes them and found out that she used to do the cakes and sweets at Live! She then went on to study traditional baking and found herself working at LPK. She is now trying to bring in more raw desserts which is amazing! The raw truffles were phenomenal. So chocolatey and smooth. They also contained blue algae which I wouldn't have known by tasting it. I'm looking forward to testing out more of the goodness from LPK's in the future! I enjoyed some leftovers from the bbq in my Laptop Lunch the following day. Since I would be going to cooking class on Thursday once again, I wanted to leave Joey with something to have for dinner. 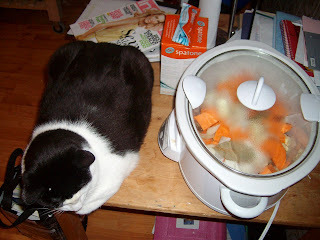 I decided to dust off my slow cooker!! I was on such a roll there, and I want to get back into it. Slowcooking is so easy and so tasty! I once again turned to A Year of Crockpotting for inspiration and made the Maple Dijon chicken. Joey was crazy about this! I didn't really get to try it because I was stuffed after cooking class and Joey had already had two helpings by the time I came home and then needed lunch for Friday. 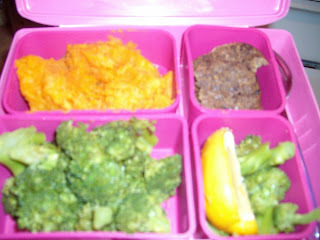 I had a few of the sweet potatoes in my lunch and they were really yummy. On Friday night I headed to the Carrot with a friend and enjoyed some more takeaway goodness. 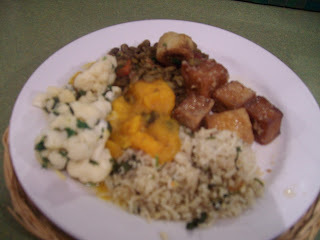 I had the honey garlic tofu, curried lentils, cauliflower, thai green rice and squash - yum! 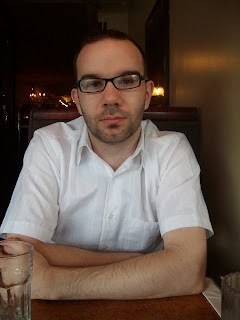 On Saturday night Joey and I headed to Il Fornello for dinner. 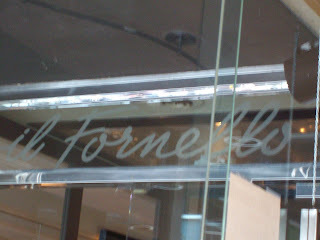 Il Fornello has both gluten free pasta and pizza which is great for me! I ordered the linguine capri without cheese or tomato and with gluten free pasta. It was delicious!! It had a lemon olive oil sauce that was incredibly light and flavorful. I loved the spinach and the chicken! And the gluten free spiral pasta made me giggle. Joey enjoyed his linguine carbonara with no substitutions. It was a really great meal and it's nice that I can still frequent some of my old haunts and customize the menu to suit my needs. 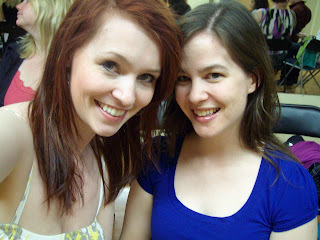 Following dinner I went to my bellydance studio with my friend Lindsay for "Cabaret 101"
It was a lovely show! I was especially impressed with one of the students who drummed for another student to dance to - amazing! We have our studio recital coming up in June but I would really like to perform at one of these smaller studio shows. Another goal for me perhaps? Hi! I don't know what kind of cheese you tried, but Follow Your Heart makes a casein free "cheese" that melts pretty well. Let me know if you find anything decent. Joey was laughing at me yesterday for saying that it tasted "floral" but in my mouth/mind that is how it tasted! !